Nuovo Fiore Ethiopia is a non-profit organization that aids and encourages the education of elementary school-aged and middle school-aged boys and girls in East Africa. 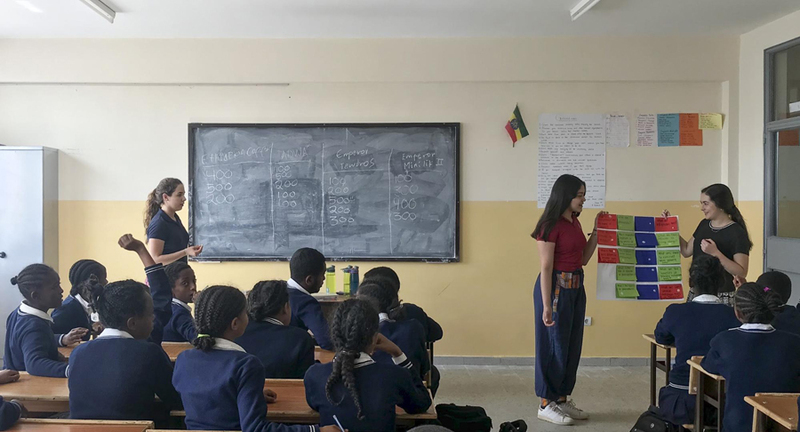 Prior to traveling to Addis Ababa, Ethiopia, each spring, TASIS students in the Nuove Fiore Global Service Program group learn about the economic, political, and social inequalities prevalent in the country while actively fundraising to support Nuovo Fiore’s key initiatives. During the first week of this year’s Spring Holiday in late March, faculty leaders Holly Shepherd, Tiziana Rosa, Perri Sartorelli, and Paul Cawthorne and 16 TASIS students made the trip to Ethiopia to provide support to the Auxilium Grade School and the Don Bosco Catholic School, both of which aim to improve the lives and education of children in need. Student leaders Ethan Fredericksen ’18 and Bo Kim ’18 traveled with the Nuove Fiore group for the third straight year. 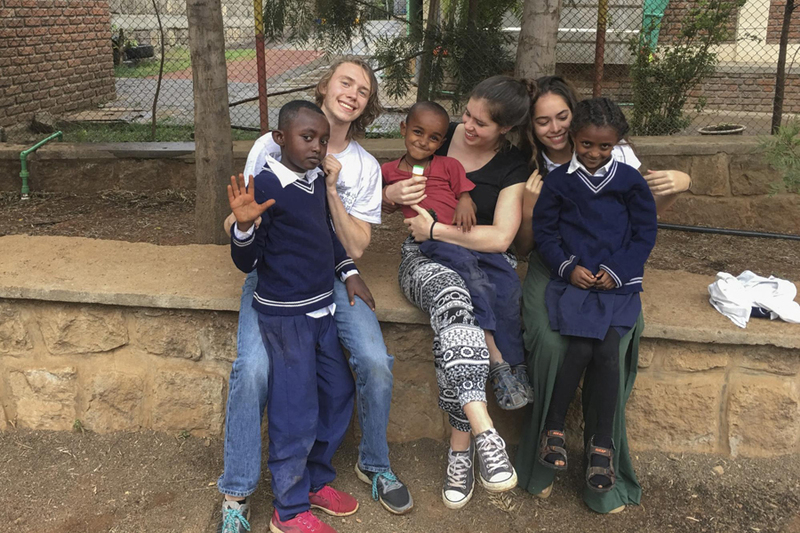 In the poignant essay below, Ethan explains why this service learning trip has meant so much to him. See more photos from this year’s trip on the TASIS SmugMug page. For many days after my return from my third trip to Ethiopia, I struggled to even think about the journey I had just gone on, let alone write about it. A simple summary of the week we spent there was and still is not sufficient to explain how meaningful this trip is to me. For me, this is no longer just a trip of service, but a family visit. I have no blood relation to any of the 1,000 kids we teach and work with, but they are nonetheless my brothers and sisters. Our weeks in Addis Ababa these past three years have been spent in pretty much the same way. Every day we wake up, eat with the Nuns or Brothers of the compound we stay at, and begin our lessons. Most of the time, our lessons are informal and involve a lot of games and easy activities. At the end of the day, we spend time with the children after school until they go home, playing soccer and losing miserably to the six-year-olds who were far better than us. This is the general schedule for our trip every year. It is uniform, unchanging, and predictable. What is not predictable for anyone, especially the first time someone goes to Ethiopia, is exactly how much you can learn from these kids, or how much love you can receive. Our experience is referred to as a “service” trip, but really we are the ones being served. The children are not only eager to engage with us, but eager to get to know us. They treat us with more than just the respect they give to every visitor or teacher; they give us real, genuine love. Personally, I have developed very strong bonds with a few children throughout the last three years in Ethiopia. One young boy, a fourth grader named Haptume, has ordained himself my “son,” and me his “father.” On this last visit, I only got to see him twice, each time for about two hours, but the time spent in his presence felt like weeks. The second time I saw him this time around, we played and talked and joked with one another. When the final call of the day came and he was made to go home, he asked me if I would be there tomorrow. This was our last day in Ethiopia, so I had to tell him no. He looked at me, and without saying a word he jumped into my arms, hugged me tight, and started to cry. I held him close and began to cry myself, knowing that I wouldn't be able to see him again for at least a year. I’ve know this young boy since he was six. Now he’s ten, doing well in school, and is surrounded by friends. I can't help but feel a sort of familial pride every time I see him, paired with an unshakable sadness every time I have to leave. Haptume is just one boy in a large family that has come together over the last few years. Other boys and girls, with names like Jezu, Meklit, Benium, Daniel, and Howai, have all shown me and the rest of our service group unprecedented amounts of love and care, and we have done our best to reciprocate that love. Every year, we show up with uncertain faces, not sure of ourselves. Every year, we leave with tears in our eyes, sure of one thing: we are sure these kids love us, and we are sure we love them. We teach them games and how to speak English, but they teach us empathy and how to speak the language of the heart. The Nuove Fiore Service Learning trip is not, despite its name, a journey of service. It is a journey of love. The Opsahl Global Service Program was envisioned by Jan Opsahl ’68, who became the first international student at TASIS when he came from Norway in 1965. The pioneering program was launched in 2013 with major support from a most generous donation from Mr. Opsahl and his family to set up the Global Service Trust. This Trust, along with support from the TASIS Foundation, make this incredible, life-changing experience for our students possible. 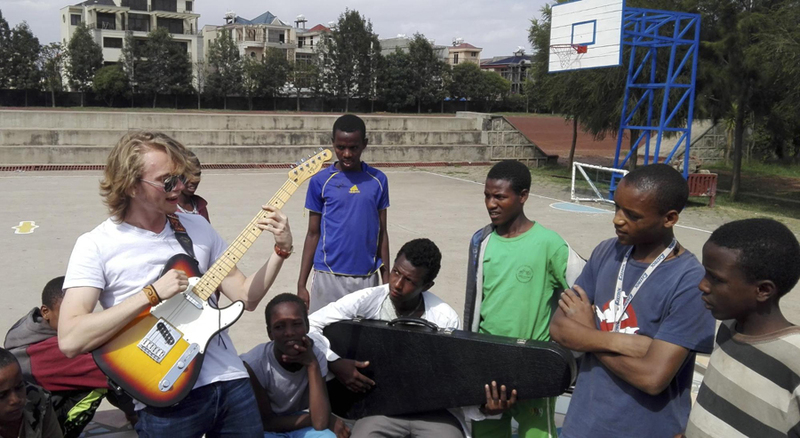 The Opsahl Global Service Program, which has been directed by Zach Mulert since its inception, transforms lives by providing every High School student a unique opportunity to connect across borders through comprehensive experiences that build empathy and encourage personal responsibility. 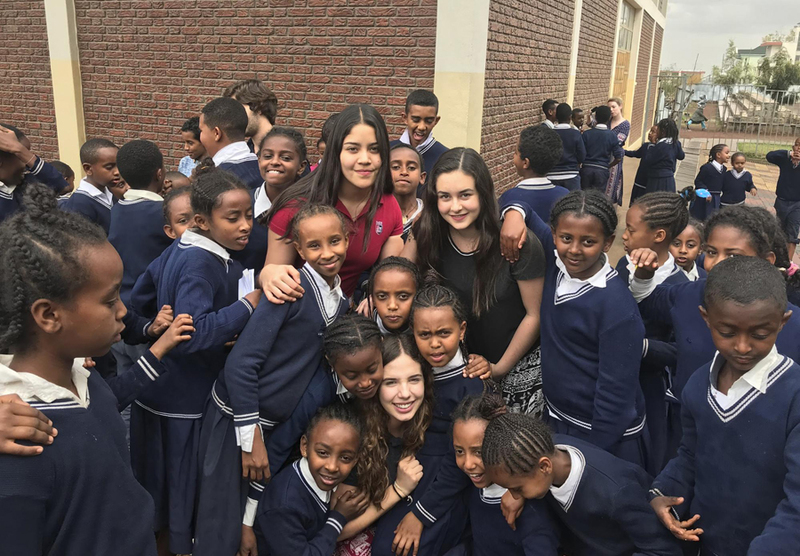 Participation in the program—which is designed to awaken students to humanitarian needs, inspire them to build enduring, mutually beneficial relationships, and lead them toward a life of active citizenship and committed service—is a graduation requirement.